Give your home an om! Bright orange starlamp glows brightly, tissue covered om cutouts look like stained glass when lit. Measures 24" across when assembled. Includes complete assembly instructions. 12' electric cord with on/off switch optional for a little more. 40 watt lightbulb not included. Handmade in India. 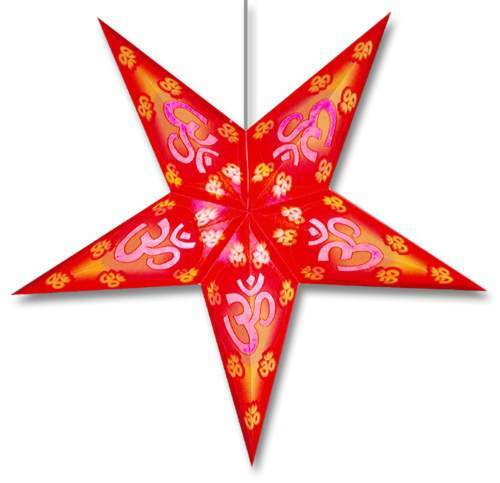 7-point paper star lamp with batik paper.